Researchers at Egypt’s National Research Centre have produced a biofuel suitable for aeroplanes after successful semi-industrial experiments conducted last December. The centre was officially commissioned by the Egyptian Ministry of Civil Aviation to find a local biofuel to power aircrafts. This was to support the implementation of the International Air Transport Association plan, aiming to halve carbon dioxide emissions caused by aviation companies by 2050. Commercial aviation contributes about 2 per cent of global carbon emissions annually. Gizine El Diwani, professor at the centre’s chemical engineering and semi-industrial experiments department, says it all started with the production of a biofuel for cars. 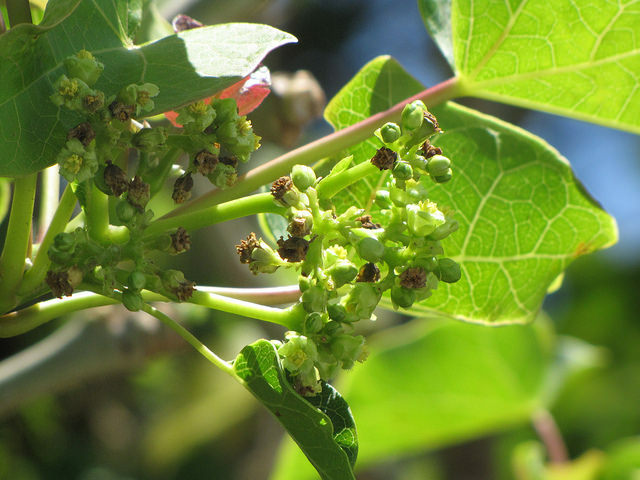 The researchers made biodiesel from the seeds of the jatropha tree — the seeds’ oil content is between 20-25 per cent. The oil can be easily extracted using organic solvents such as hexane, according to El Diwani. Because the properties of jatropha oil differ from those of traditional engine oil — in terms of viscosity, density and degree of combustion — it has to go through a number of fairly simple chemical processes to be adapted for use in running engines. Read the full article via SciDev.Net. Announcing a public consultation on an Agriculture Sector Package for the Open Data Charter.